When it comes to food and beverages at Disney Parks around the world, there is literally no end to the truly delicious—and truly unique—options available to you… And as we head into fall, the good folks over at Walt Disney World Resort have cooked up some scrumptious limited-time-only delights, featuring all kinds of seasonal flavors—and more fun than you can shake a churro at! 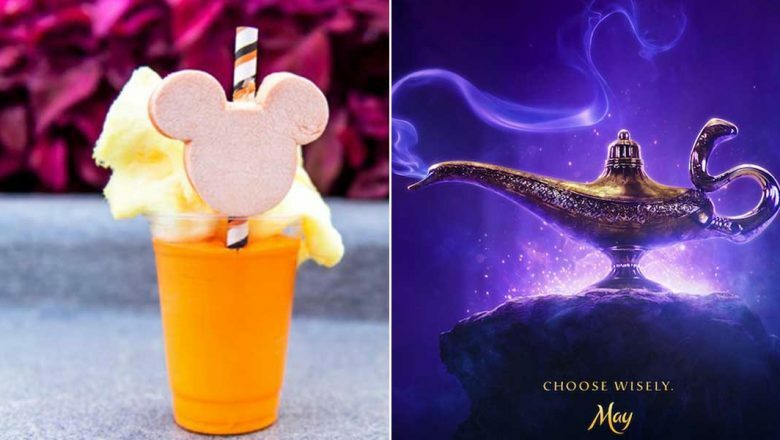 Among the incredible new eats featuring during Mickey’s Not-So-Scary Halloween Party at Magic Kingdom park is the Candy Corn Milkshake—available daily at Auntie Gravity’s Galactic Goodies. But that’s not all: You’ll find fall-inspired treats everywhere you look! 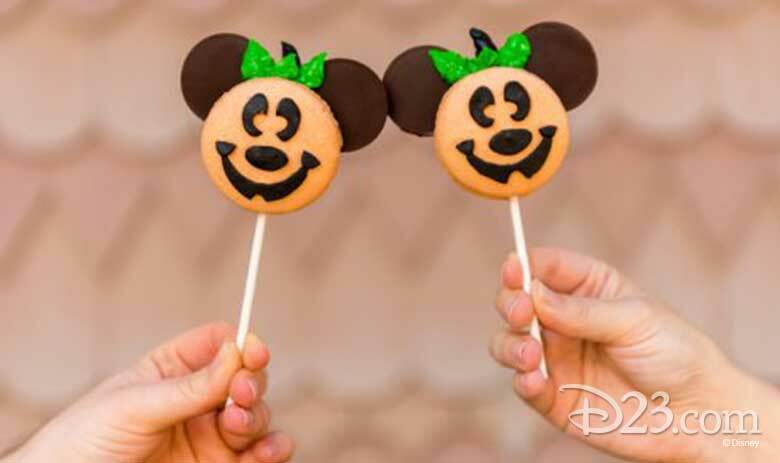 From the Minnie’s Not So Scary Berry Cupcake (available October 28–31 only!) at Disney’s Contemporary Resort, to Apple Cider Donut Hole Skewers at Disney’s Animal Kingdom… or you can don your boots and scarf, grab a latte, and live your best life at Disney’s Yacht & Beach Club, enjoying their Pumpkin Whoopie Pie… Trust us, you won’t want to miss a morsel! 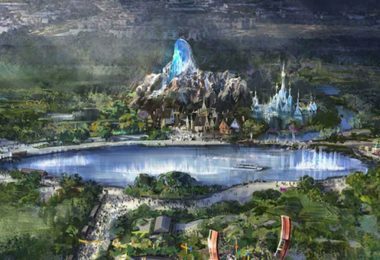 For more info on all these limited-time offerings, head over to the Disney Parks Blog. Careful—you might get hungry! Be Among the First to See Disney’s The Nutcracker and the Four Realms! Directed by Guy Ritchie (Sherlock Holmes) and written by Ritchie and John August, Aladdin is the exciting tale of everyone favorite’s street rat of the same name (played by Mena Massoud); the courageous and self-determined Princess Jasmine (Naomi Smith); and the Genie (Oscar® nominee Will Smith) who may just be the key to their future. 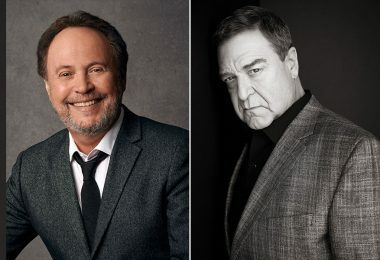 Disney Legend Alan Menken returns to provide the score—which includes new recordings of the original songs (penned by Menken and lyricists Howard Ashman and Sir Tim Rice) from the 1992 animated film, as well as two new songs written by Menken and Oscar winners Benj Pasek and Justin Paul (La La Land). Look for Aladdin to make its magic carpet ride into a theater near you on May 24, 2019. 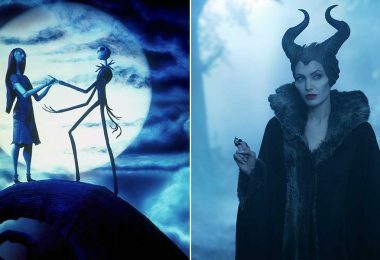 Okay, it’s true—we haven’t even made it to Halloween yet. 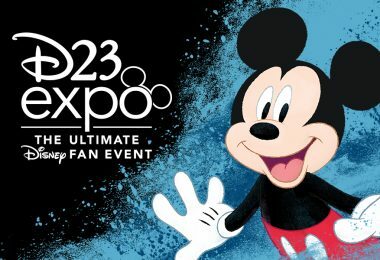 (Which also means D23 still has more Fanniversary fun to come!) But we’re not above making plans for the upcoming holiday season… and that goes for what we’ll be watching on our TVs (or favorite streaming devices). Enter Freeform, who begins their brand-new, month-long “Kickoff To Christmas” programming event on November 1. Featuring all manner of fun holiday content—to get you in the mood for their massive “25 Days of Christmas” come December 1—the programming event will also highlight the new Freeform original film The Truth About Christmas, starring Kali Hawk (New Girl) and Damon Dayoub (Stitchers). 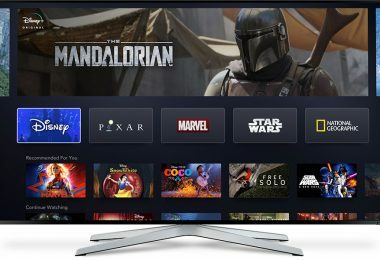 For a complete, night-by-night listing of “Kickoff To Christmas” fun, visit Freeform.com. 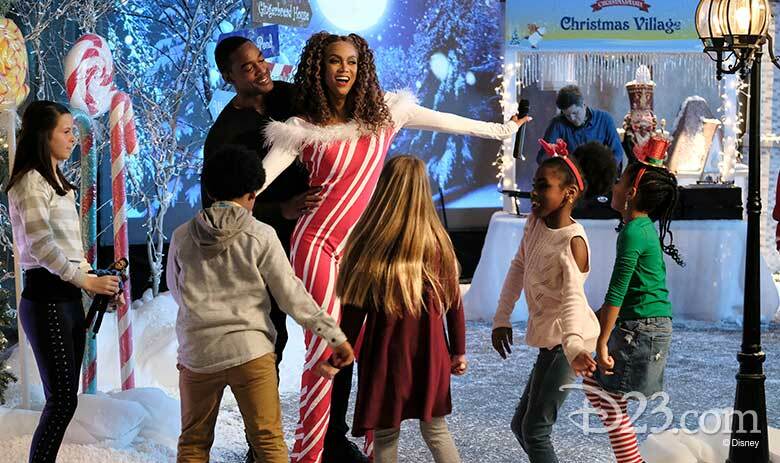 And don’t forget—Freeform’s other big holiday original film, Life-Size 2 with Tyra Banks, will help launch “25 Days of Christmas”; also starring Francia Raisa (Grown-ish), this new adventure finds doll Eve (Banks, returning to her role from 2000’s Life-Size) magically awakening once again to help a stressed-out CEO find the confidence to be the leader—and the woman—Eve knows she can be. Look for its premiere on Sunday, December 2, at 9 p.m. EST. Taking a fabulous trip on the beautiful briny seas with Disney Cruise Line? You’ll soon be able to get a dose of D23 fun right there on the ship! 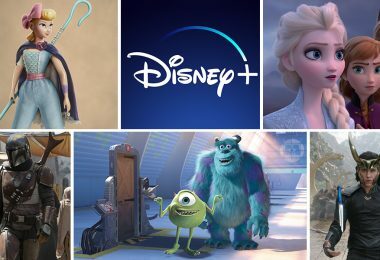 “Disney at Sea with D23” will offer guests the latest and greatest news from the world of Disney, refreshed on a monthly basis. Read up on this fun new show right here. There’s a brand-new cooking competition series coming to ABC, and its culinary pedigree is off the charts… World-renowned chefs, authors, and restauranteurs Cat Cora and Graham Elliott (late of MasterChef) will be serving up heaping spoonfuls of knowledge as the just-announced judges on the upcoming competition series Family Food Fight—based on the hit Australian TV show. 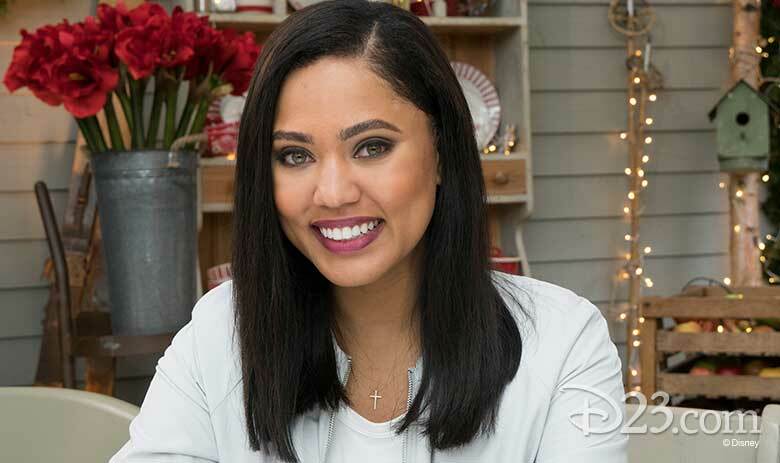 Hosted by restaurateur, food maven, and New York Times best-selling cookbook author Ayesha Curry, the series will feature eight families from across the country sharing a common kitchen and a common goal: to claim the title of America’s No. 1 Food Family. Cora and Elliot will lend Curry their expert palates to help determine which family team will walk away with the coveted title—as well as a cool $100,000 prize. Production is set to begin this month in Los Angeles… keep your eyes peeled (and your tummies growling) for news on an official airdate soon! 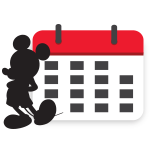 Speaking of ABC, D23 has all the news that’s fit to print (err, post) about Dancing with the Stars: Junior’s upcoming Disney Night—and there’s so much magic in store, we can’t wait to enter the ballroom this Monday, October 22. Will there be some Hercules? What about Toy Story? How’s about a little Coco? Take a gander at our rundown right here. 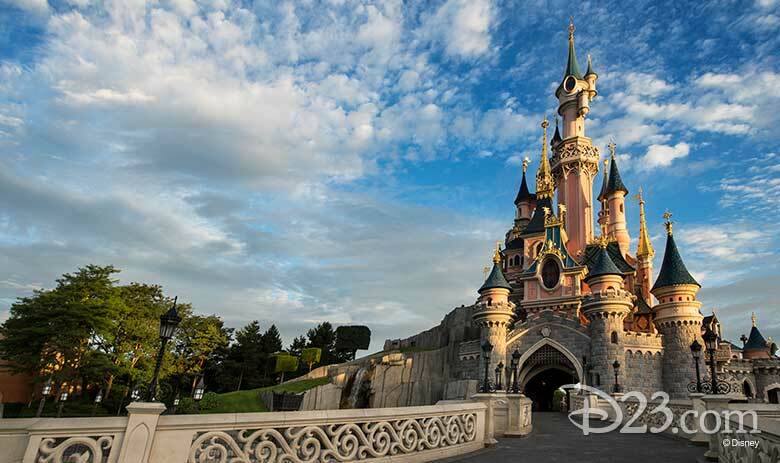 Our friends across the pond have some major plans in store… Beginning this holiday season, and extending through 2019, Disneyland Paris Resort is bringing more magnifique magic to guests than ever before! 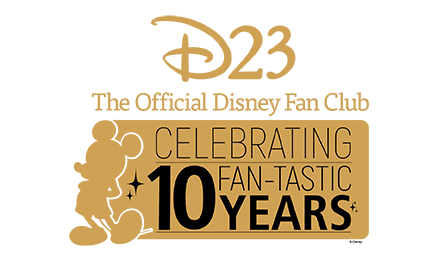 It all begins this month when the resort kicks off their celebrations for Mickey Mouse’s 90th anniversary—including the Mickey and his PhilharMagique Orchestra 4D experience at the Discoveryland Theatre; a brand-new float, “Mickey’s Illusion Manor,” in the park’s upcoming Halloween parade; and the A Surprise for Mickey! 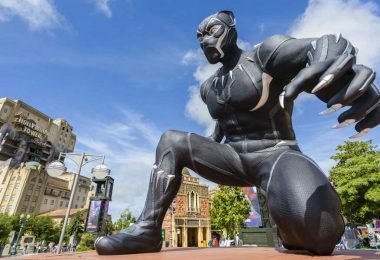 interactive show this winter at Walt Disney Studios Park. But wait, there’s more! The resort’s Enchanted Christmas event runs November 10 through January 6, and will offer guests tons of holiday cheer—complete with nightly snowfall along Main Street, U.S.A. And the new year welcomes the “Pirates and Princess Festival” from January 19 through March 17; “Legends of the Force: A Celebration of Star Wars,” January 12 through March 17; meet-and-greets with Marvel Super Heroes including Captain America and Groot at Walt Disney Studios Park; and a brand-new “Festival of the Lion King and Jungle”—with Simba, Timon, Pumbaa, and Baloo—kicking off in July 2019.